This is a handy tool to figure out how much you'll pay for health insurance depending on your age, where you live and how many people you're insuring. Courtesy of ValuePenguin, which was mentioned on CBS news, we could finally figure out what was offered in New York, calculate if we get a subsidy and then the subsequent monthly cost of insurance. Many of the state health exchanges can't offer this clarity yet. Make sure your favorite doctors and hospitals are covered. Out of network costs are not covered and you'll have to pay those bills. Research has shown that exercises performed with light to medium weights will help improve bone strength. That along with weight bearing exercises (walking, jogging, jumping rope) should be performed at least 4 hours per week to achieve maximum bone strength. In this osteoporosis video, I will go through some of those weight bearing exercises, such as squats with different arm positions. This video can be performed daily to achieve a 4 hour minimum of weight bearing exercises in a week. Breast cancer has become more prevalent over the years and research has helped make the recovery process more manageable. Although surgery is not always involved in the treatment of breast cancer, other forms of intervention can restrict a person's mobility and ability. As we age our independence becomes one of the most important aspects of life. 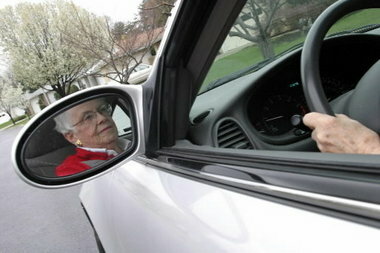 Losing the ability to drive can make us feel "trapped" and decrease our quality of life. We don't want to be a burden on family members and often have a difficult time knowing or telling someone when we no longer feel safe driving. So, how can we improve or maintain our ability to continuing driving safely? Are you singing the chronic illness blues?